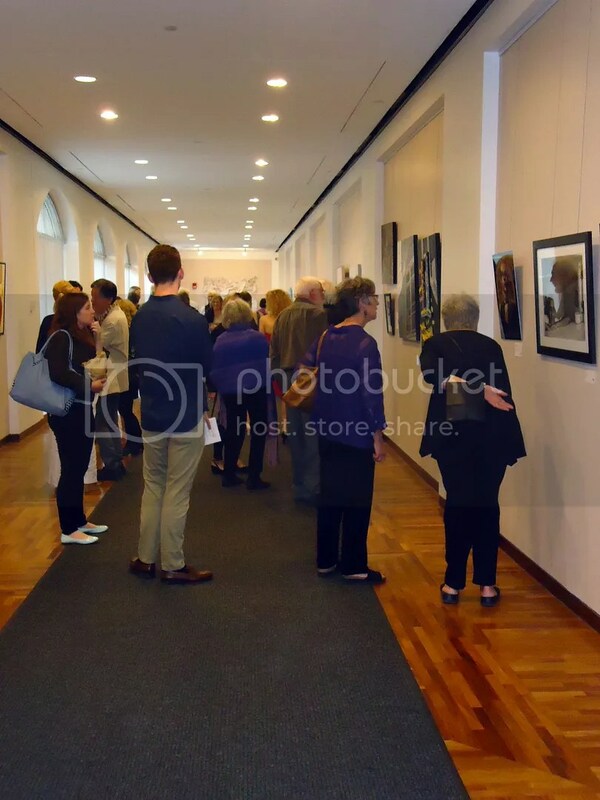 Dear friends, here are a few pics from Thursday night’s opening reception for Cambridge Art Association‘s small group show, Between Abstraction and Reality. February 18 – March 10, 2016. Presented at University Place Gallery. 124 Mount Auburn St., Cambridge, MA 02138. Featuring artwork by Michael Bogdanow, The Lone Beader, Youngsheen A. Jhe, Jeff Melzack, Nancy Morgan..
Stop by and check out my beaded Radio City painting in the flesh! Bead Embroidery Artist of the Week! 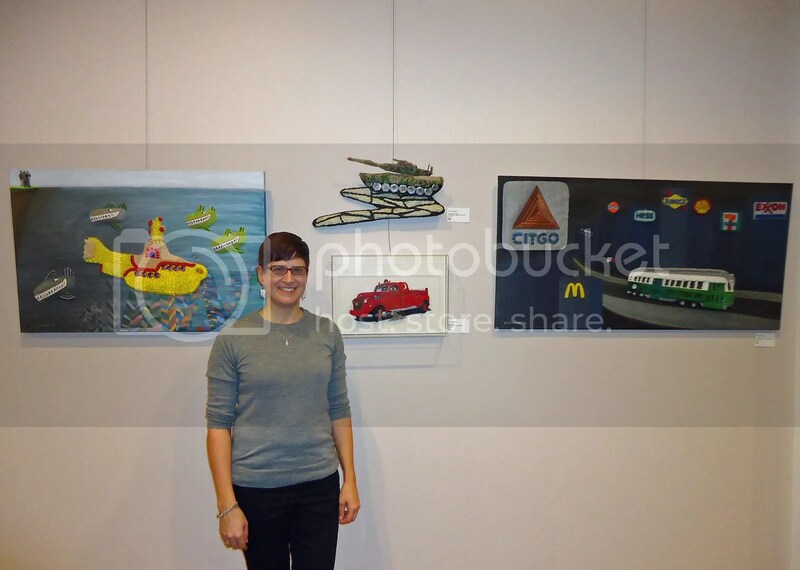 Dear friends, I am thrilled to be Cambridge Art Association‘s Artist of the Week! Read this interview to learn more about me! Also, you are cordially invited to attend Between Abstraction and Reality, a small group show hosted by the Cambridge Art Association! I will be exhibiting 14 of my beaded paintings and artwork at this show – for 3 weeks only! 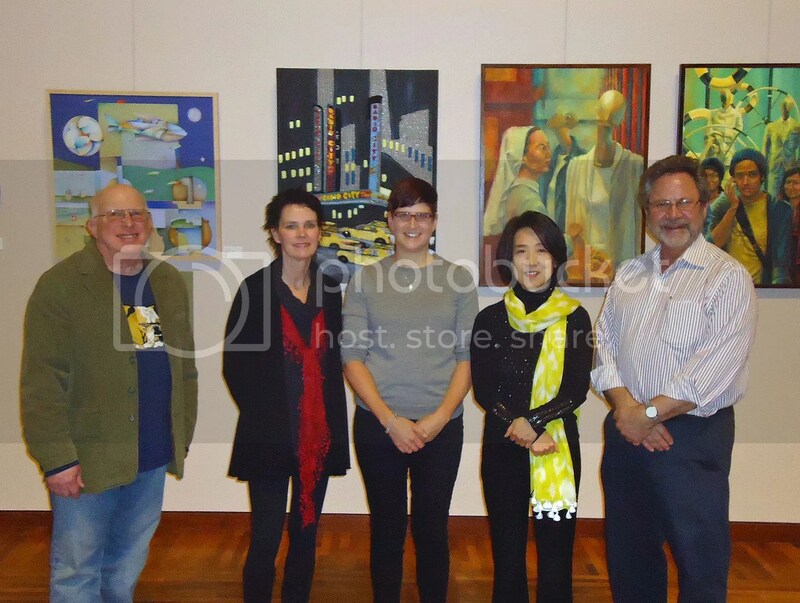 Presented at University Place Gallery…124 Mt. Auburn St. Cambridge MA 02138. Opening reception: Thursday, February 25, 6-8pm. Closing reception: Thursday, March 10, 6-8pm. Take the T to Harvard Square..
Free and Open to the Public. Hope to see you there! Dear friends, Happy New Year! I am thrilled to announce that in February, I will be participating in a Small Group show hosted by the Cambridge Art Association – Between Abstraction and Reality. I will be showing all of my large beaded artworks on canvas in one place for the first time ever! February 18 – March 10, 2016. Opening reception: Thursday, February 25, 6-8pm. Closing reception: Thursday, March 10, 6-8pm. Featuring artwork by Michael Bogdanow, The Lone Beader, Youngsheen A. Jhe, Jeff Melzack, Nancy Morgan and Dan Trajman. 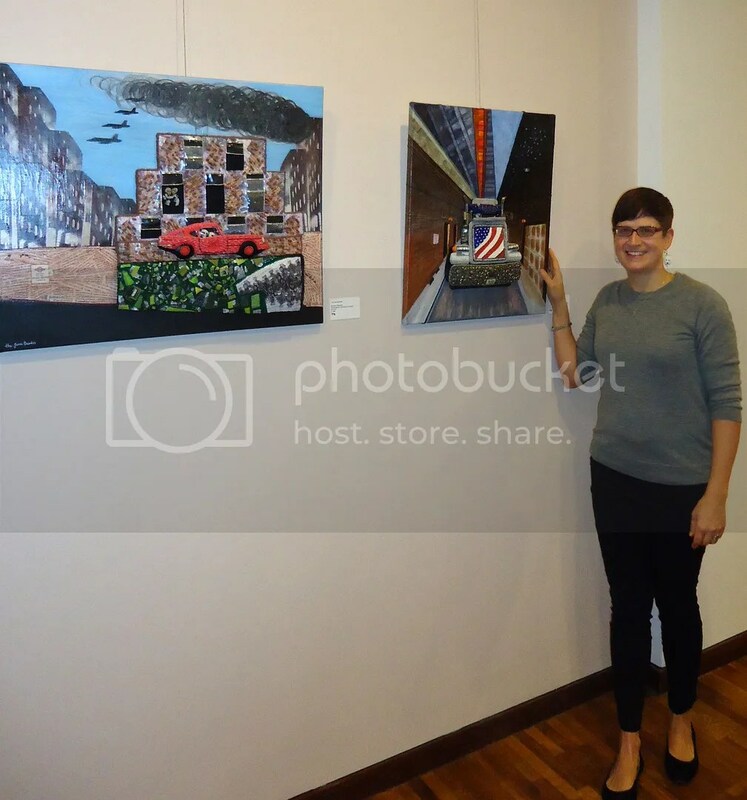 Presented at University Place Gallery… 124 Mt. Auburn St. Cambridge MA 02138. Click here for a list of businesses that validate, if you park at University Place Garage. Or Take the T to Harvard Square..Free and Open to the Public! 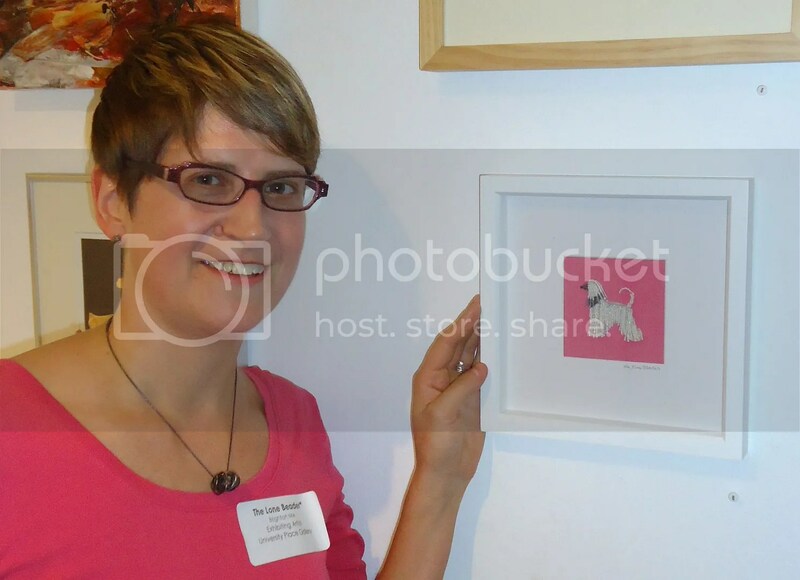 Last night, I went to the Cambridge Art Association’s 14th National Prize Show reception. Works in all mediums were selected by Caitlin Doherty, Curator & Deputy Director of Curatorial Affairs at the Eli and Edythe Broad Art Museum, Michigan State University. Only 79 pieces out of 1200 entries were selected for this show. 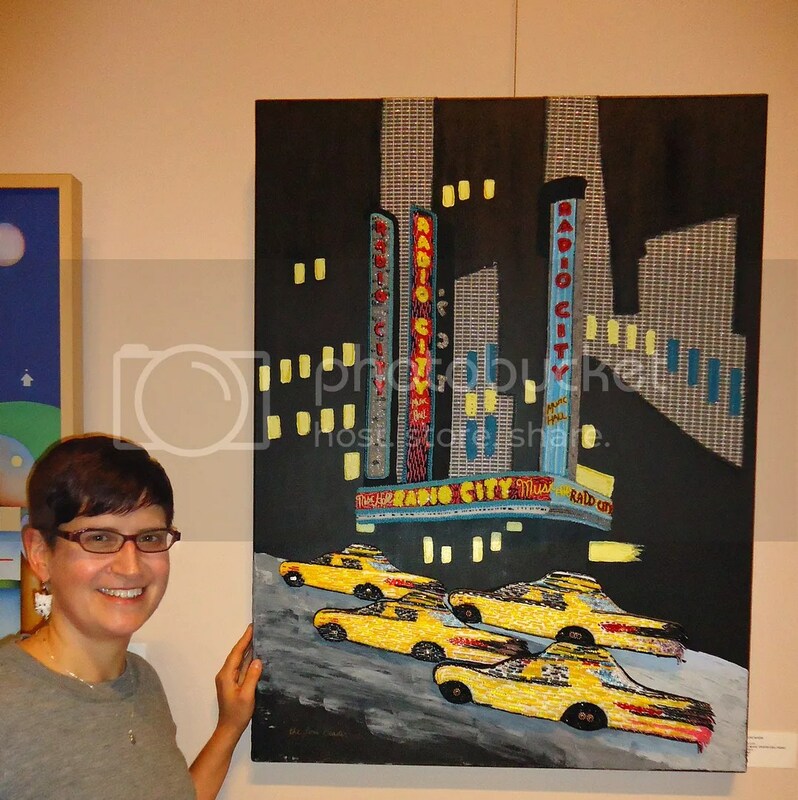 I am absolutely thrilled that my beaded painting, Radio City, is one of them! This piece consists of bead embroidery on canvas. 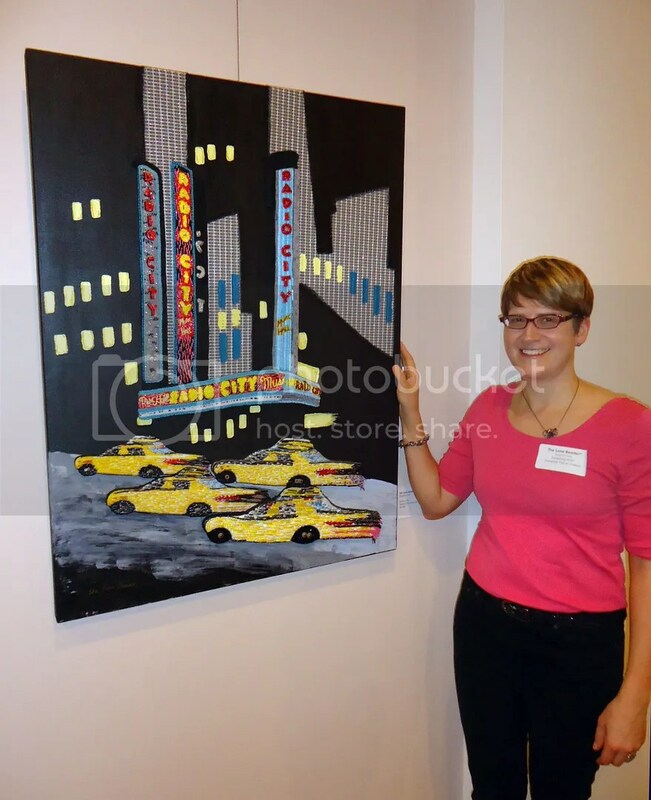 You can view Radio City May 15- June 25, 2015 at University Place Gallery in Harvard Square. 124 Mt. Auburn St. Cambridge MA, 02138 Hours: Monday through Friday 9:00am to 6:00pm • Saturday 9:00am to 1:00pm. The other half of the exhibition is installed at the Kathryn Schultz Gallery located at 25 Lowell St., Cambridge, MA. 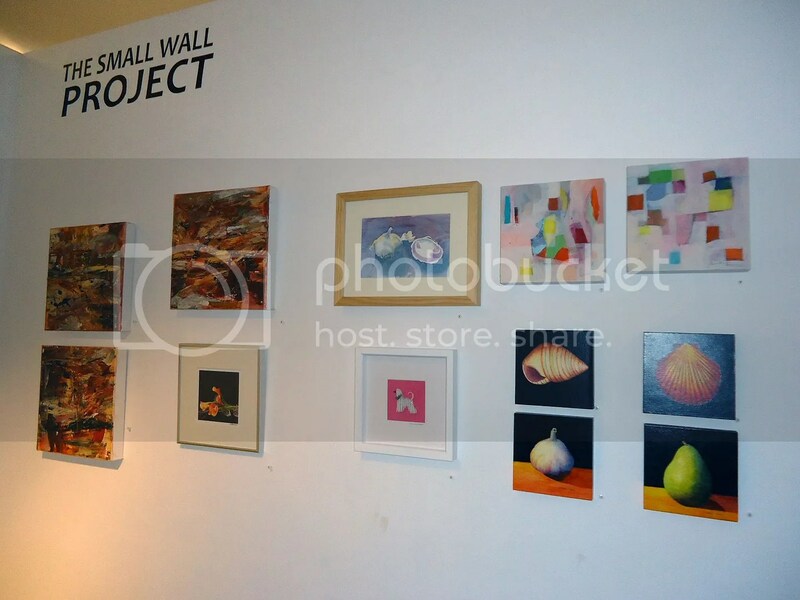 There you can also check out the Small Wall Project. Every 4-6 weeks, original small works will be shown here. Of course, these pieces are available for sale. 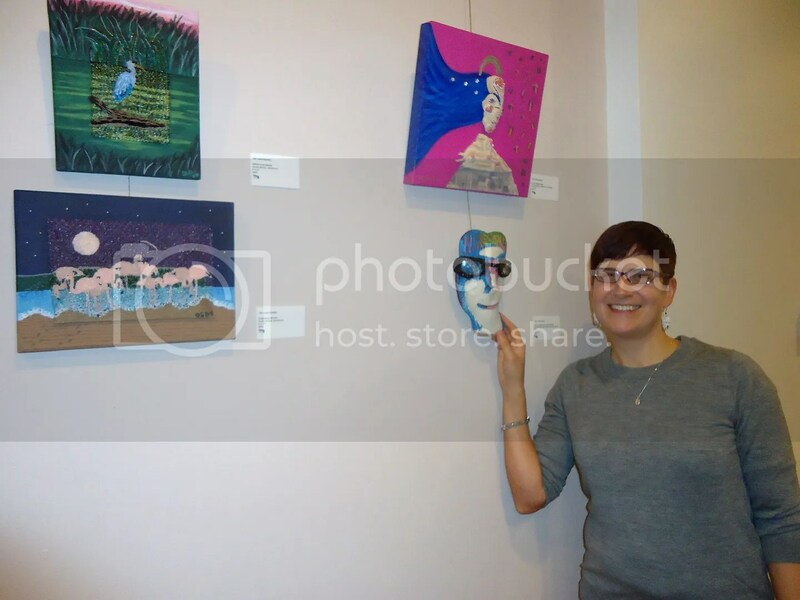 Many artists will donate 50% of the sale to the Cambridge Art Association so they can continue to expand their gallery space. Dear friends, mark your calendars! I am thrilled to announce that I will be participating at Newbury Handmade Market this summer. I will be selling beaded doggie pins, pendants, bead embroidery kits, and art for one week at Newbury Handmade Market in Boston, MA. 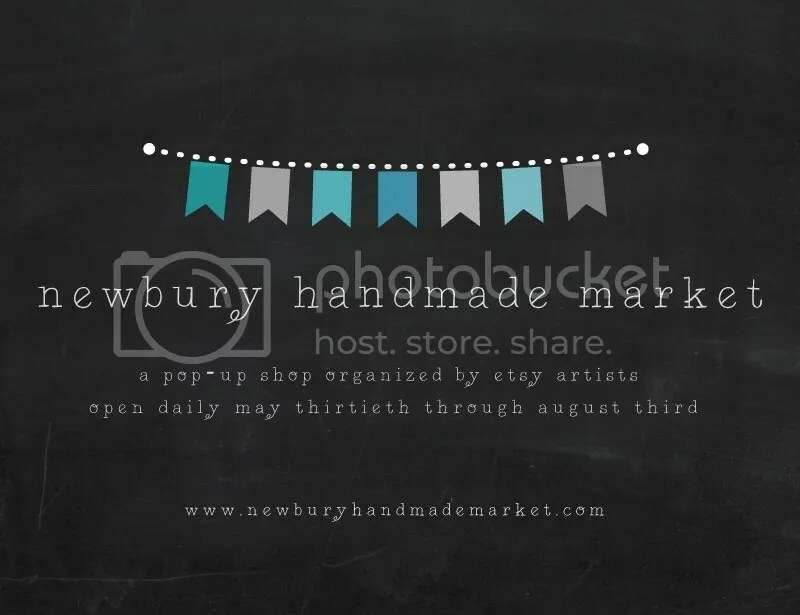 Newbury Handmade Market is an independently-organized showcase of local Etsy artists, returning to Newbury Street for its second year running! 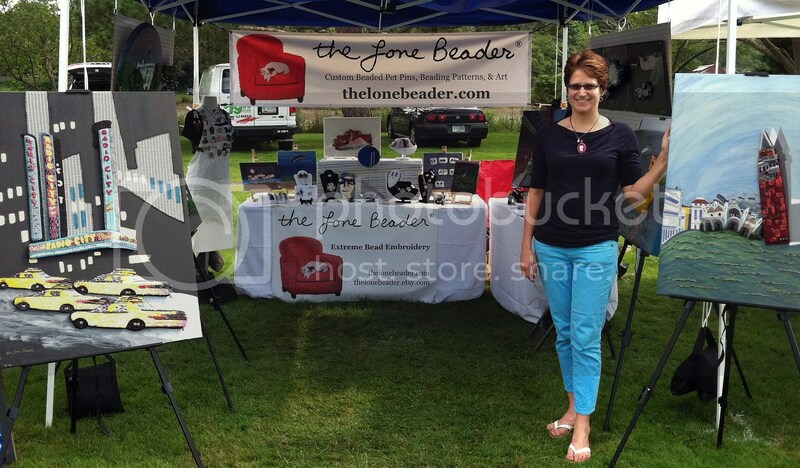 Stop by and say hello July 11-17, 2014! My set-up was pretty basic. I had a couple of tables for jewelry and small paintings, 2 hanging pegboards for larger paintings, a bust form to display my pet pins, a literature rack for beading kits, and 4 easels for more bead paintings. I was a bit nervous about having easels there because they take up quite a bit of space, and they can be a hazard in the wind. I came prepared with 20-lb sandbags & concrete blocks just in case.. 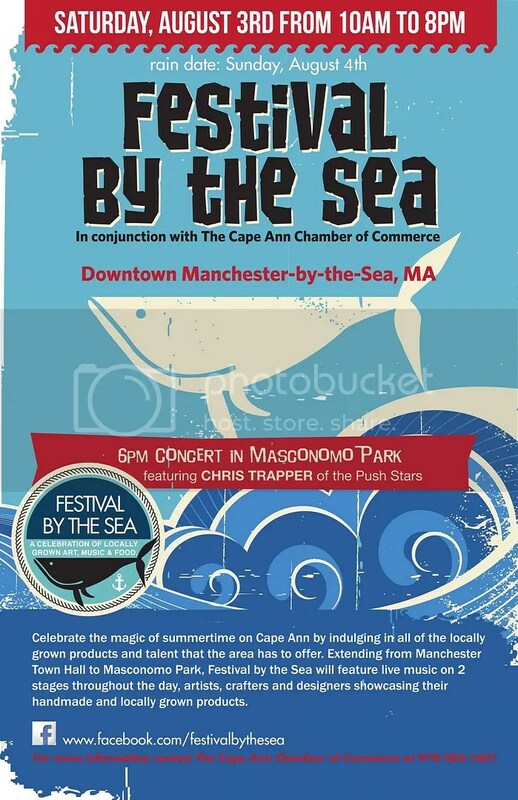 I have been invited to do an art festival in Manchester-by-the-Sea, MA!! This will be my first festival and I will admit that I am a little nervous about it. There is so much to plan for, and I don’t really have much time or space to do it.. This week, I am revamping my booth design just a bit as well as figuring out the best way to windproof my displays all while doing it on a limited budget. It looks like the weather may cooperate, but in New England, anything could happen. If you have any tips or suggestions for a newbie, please leave them in the comments below..
Anyways, it sounds like it will be a fun event. There will be many artists and crafters showcasing their works, as well as locally grown products, concerts in the park, and a beer garden! If you happen to be north of Boston on Saturday, August 3, please stop by and say hello! (Click the pic above for more info:) I will do my best to post updates on Facebook and Twitter. Hope to see you there!